Easter, one of the highest celebrations on the Christian Calendar. We celebrate a risen Savior. All that Jesus said and did would have faded away over time had it not been for Resurrection Sunday! Behind the scenes at your home church there is a lot of stress! Pastors and leaders feel pressured to make "Easter Sunday" a "perfect Sunday". People from the community who do not have a Sunday church habit will come out on Easter to celebrate with our church family. It's easy on this end to get so caught in preparations that we miss out on a personal Easter. This year I told our staff and volunteers that we are not going to let that happen. We are going to put together an awesome service for Easter but one that is very much like every other Sunday service. There are 52 Sundays in each year and we do our best to make each one special. Our goal each Sunday is to challenge, encourage, inspire, surprise and most importantly invite each attendee to experience the incredible presence of the Lord in their lives personally. What can you expect at the Grace Place Church on Sunday? 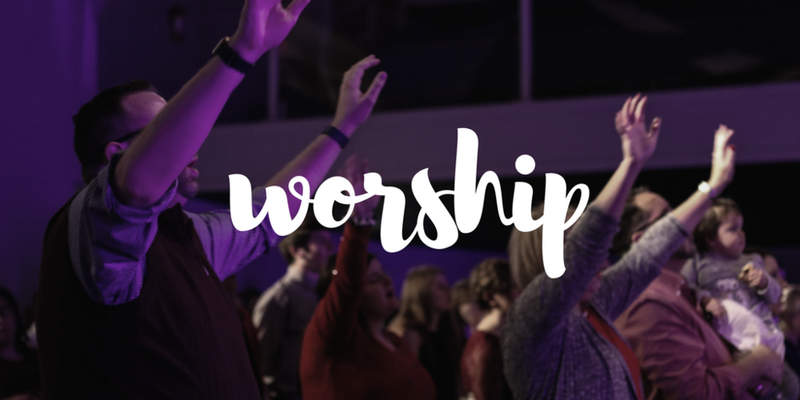 Expect a warm welcome, loving church family, awesome live worship. Expect to encounter the presence of the Holy Spirit who will inspire, challenge and encourage you through God's Word. Most of all expect authentic Christianity. We are not putting on a show for Easter. This Sunday will be very much like many Sundays at the Grace Place. We always expect God to show up and people lives to be changed. Our serving teams of volunteers work this hard all year long to help us create an environment where life change can happen. The media team, Worship team, teaching team, ushers and greeters are all about serving Jesus by serving you. We are human and we may make a mistake but our focus is on doing our best for Jesus. I really love our church family and the people of our community. The best decision I ever made was to say "Yes" to the call to pastor the people of this community. We welcome every new face. On behalf of our entire ministry team we invite you to consider making GPC your home. God has great things in store for your life and they start this Easter!